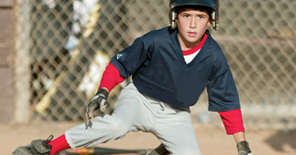 Youth baseball coaches should make player experience the number one priority. One part of this process that often is overlooked is coaching the parents. This doesn’t mean that you should be trying to teach the parents to understand the game better or to have them master the game’s skills. Instead it means that as a coach you should help parents understand their role in maximizing their child’s overall baseball experience. Begin by holding a preseason meeting with your parents to discuss your teaching philosophies, feelings about playing time, the schedule of practices and games and enlisting their support at practices or games. One other thing that you can talk to them about is how they can become “good baseball parents.” This can be done via a handout or by simply speaking to them about their roles in creating a positive experience for everyone involved. You may want to consider using these concepts to form a parental code of conduct. How many times have you attended a youth baseball game and noticed that a particular parent only cheers for his or her own child? This is common for youth sporting events. As a coach, it can be difficult to teach a young player the importance of supporting his teammates or playing within a team concept if his parents only cheer for one child. Explain to the parents that your job as a coach is to provide an all-around educational experience for the players. Tell them that one of the greatest life lessons that baseball teaches is the importance of teamwork. Parents are the most influential figures in most kids’ lives, so stress to the parents that you want them cheering for all of the players or none of the players. Also, make sure to tell the parents that you would like them to make a point to congratulate every player after every game – win or lose. It’s easy to cheer, scream and be happy when your child’s team scores 11 runs in the first inning. It’s much harder to mask your disappointment when that same team falls behind 12 to 11 in the sixth. Kids feed off the atmosphere at the ballpark. If everyone is full of laughter, smiles and support when things are going great and dead silent when adversity hits, don’t you think the players are going to sense that and put more pressure on themselves? Remember, winning is not the ultimate goal when it comes to youth baseball. Making sure that the kids have a good time and learn something are the most important goals. Coaches should tell their parents to maintain an even keel – don’t get too high or too low – and then lead by example. The last thing we want is for a kid to be standing on the field thinking that he has failed. To maintain an even keel, resist excessive criticism – to an individual player or the entire team. Remember that kids are fragile. One negative experience may cause someone to give up the game forever. Coaches or parents – in public view, should never address mental or physical mistakes. If a kid messes up, he knows it. Pointing it out in front of everyone – even when doing it in an instructive manner – is not going to help that player’s mental state or make him a better player. Coaches should wait until the player comes off the field, and parents probably should wait until well after the game – either that night after they get home or the next day. Nothing does more to shatter a young player’s self confidence than correcting him or reprimanding him publicly. Make it clear to the parents that you are the coach and will handle everything on the field. Umpires make mistakes, but it is only in very, very rare instances that an umpire actually costs a team a game. One of our primary goals as youth baseball coaches is to teach the kids the importance of respecting authority. Like the police in our hometown, umpires are the voice of authority on the baseball field and should be treated as such. Coaches must tell parents prior to the season that verbal abuse of umpires will not be tolerated – not because umpires are always right, but because of the message it sends to the players. Having respect for authority is one of our duties as American citizens. The coach is the only person who ever should be allowed to question an umpire, and when he does it always should be in a conversational, professional and courteous manner. Stay tuned – we will have more tips on how to create a positive experience for your athletes through instructing parents on their roles in the next week!